With the CDJ-2000 White Edition, club-quality sound, high-end design, professional effects and cross-equipment connectivity come as standard. 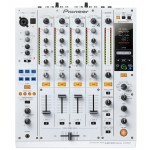 We are proud to add the Pioneer CDJ-2000 White Limited Edition to our rental inventory. It comes in either a UDG soft-bag or ATA-300 road case. Our rental CDJ-2000 White comes with all necessary cords and cables. 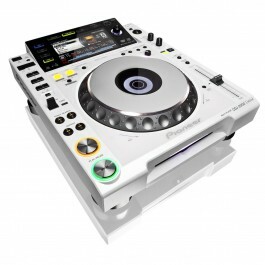 We also include a network switch and ethernet cables when you rent more that two CDJ-2000 White Limited Edition.